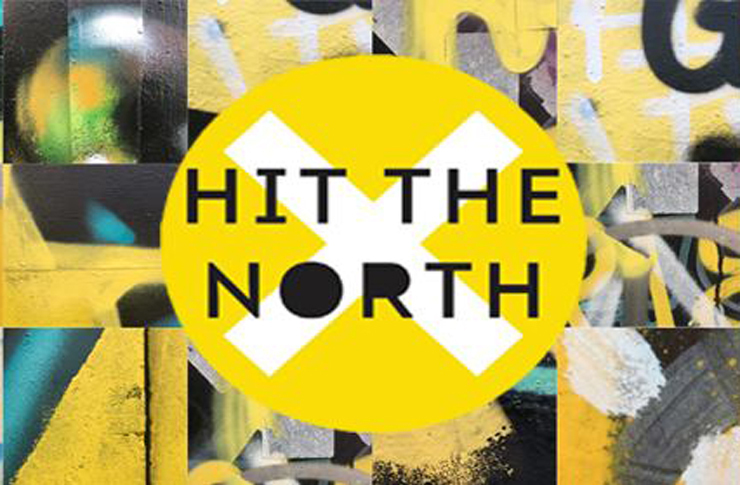 After their successful inception in 2017, the Hit The North festival is hitting the North for a second time. Early bird tickets were quick to sell out and Newcastle looks forward to another round of gigs with some of best indie music. 2017 saw headliners, Slaves and Nothing But Thieves, while this year promises Jungle and Circa Waves. Similar to Live at Leeds and The Great Escape, this inner-city festival boasts exciting venues spread across Newcastle. Beginning in the early afternoon, smaller acts start their more intimate sets. Often based in the locations you may not have heard of before, last year’s festival locations included Town Wall and Brewdog. After attending in 2017, I can attest that this is a lot of fun – and it’s a welcomed prospect to find quirky places in Newcastle that are, sadly, less popular than they deserve to be. The chilled atmosphere is a nice way to begin with a few drinks before the more known bands surface around 5pm. For those wanting to continue the festival, they can head towards clubs like Digital, which saw Lethal Bizzle give his vibrant set early into the morning last year. Equally, Underground provides late night entertainment when they lend their venue to DJ’s in order to interject non-live music to finish the night. This is the festival experience with a bit more walking but much less mud. 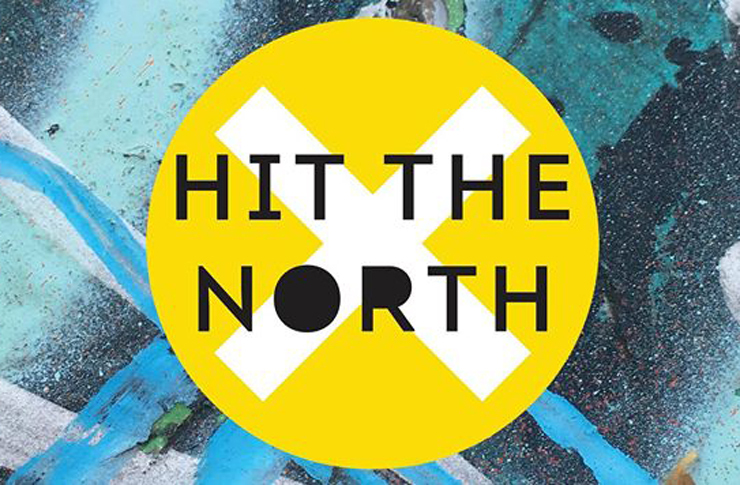 Meet the North is the baby brother of Hit the North, celebrating the best music to come from the North East. There are multiple city centre venues hosting some amazing live music on 5th May. 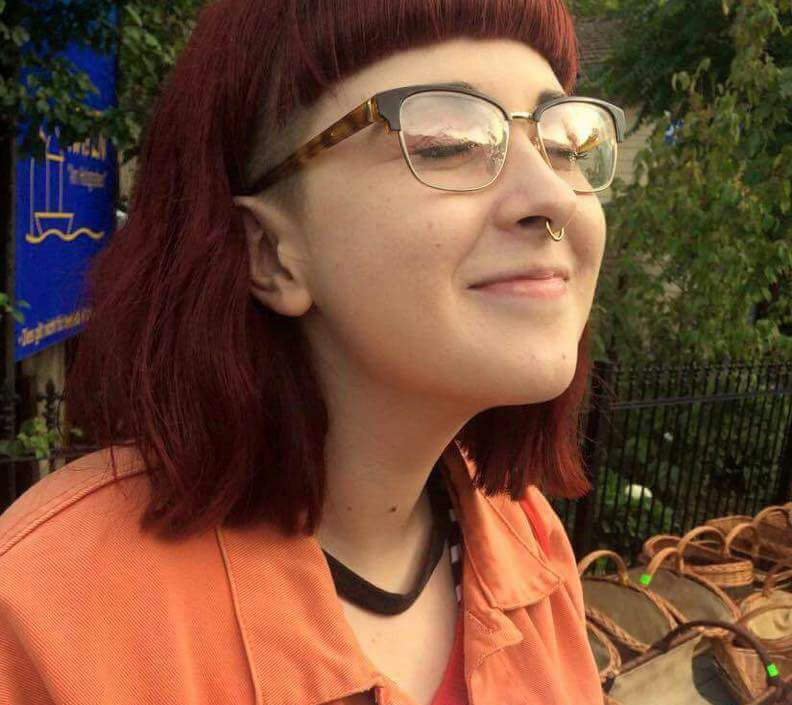 This year’s line-up includes plenty of local artists, such as doom-punk trio No Teeth, budding star Brooke Bentham and Tom Joshua, a Middlesbrough born vocalist. There are bands and solo artists from each and every corner of the North East region, playing from 2pm until late. 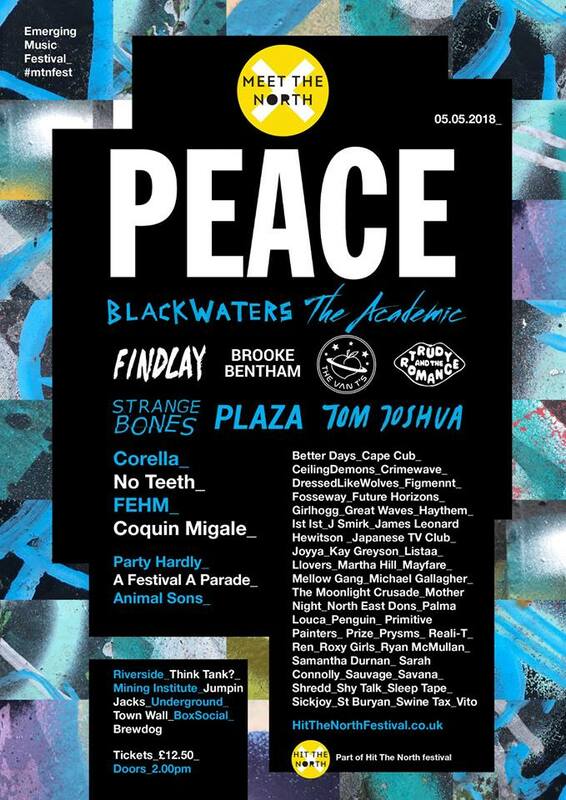 The festival is headlined by Peace, the indie-rock group making a comeback after the success of their 2015 album Happy People. After being absent for a few years, they’re back with the massive single ‘Power’, a new independent label, and an album and UK tour announced. You can expect popular tunes from their debut, like ‘1998 (Delicious)’ and ‘Lovesick’, alongside the beautifully emotional ‘From Under Liquid Glass’, released in support of MQ Mental Health. Their headline set is bound to blow the roof off and be a more than fitting end to the festival. The Academic, Irish indie-rock band, are high up the bill. Perhaps prompted by the success of their single ‘Bear Claws’, which currently has 1.8 million Youtube views, or by the success of their debut album Tales From The Backseat. The band are currently touring the US, returning to the UK in April, with Meet the North ending their UK run. No matter what your music taste, there’ll be some live sounds you’ll love. Hartlepool’s PLAZA are also worth a mention. 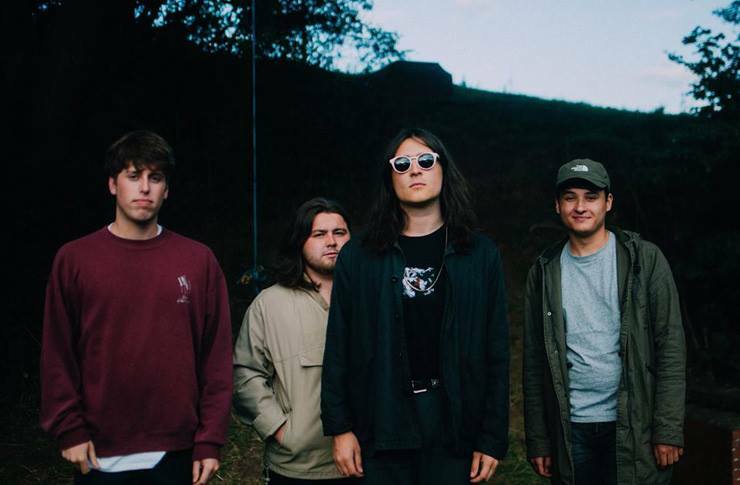 Their grunge pop sound supported indie giants Blaenavon in autumn, and they’re owning the stage of their own accord now. No matter what your music taste, there’ll be some live sounds you’ll love. My hot tip is Cape Cub, who regularly plays local shows and is definitely one to check out. With tickets at just £12.50, you’re spoilt for choice. Labelled as a “modern soul musical collective”, Jungle will be bringing the groove to Boiler Shop in Newcastle on Friday May 4th as part of Hit The North’s events. The group’s name couldn’t be more appropriate with a cornucopia of sounds transporting you to the wild as Esquire writes of their “tropical percussion, wildlife noises, falsetto yelps, psychedelic washes and badoinking bass”. The group may only have 2014’s self-titled album to their name but it is one of huge popularity. Before been shortlisted for a Mercury Prize in September 2014, the record powered phenomenal sets at the likes of Reading and Leeds Festival, 2014’s iTunes Festival and, the following year, at Glastonbury. Boiler Shop’s rustic beams and open-ambiance is perfect for the party that Jungle will be bringing with them. 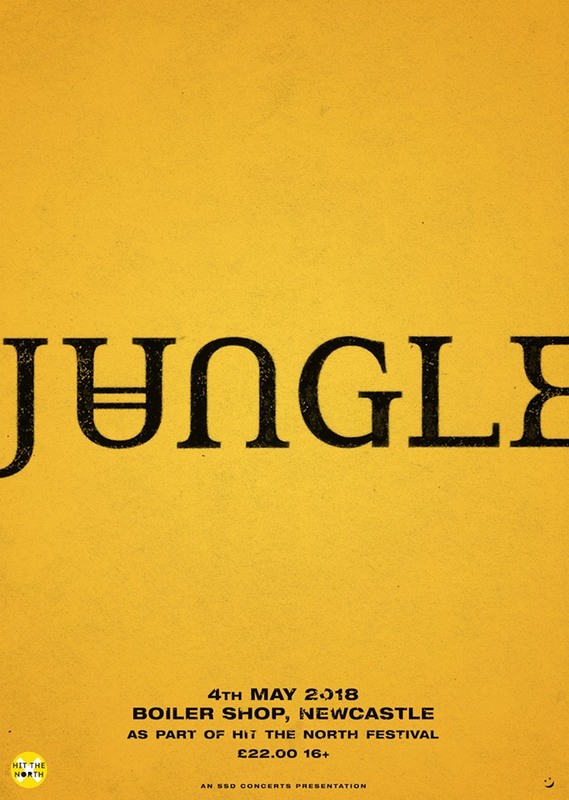 If you don’t think you have heard of Jungle, then you should think again. Their most popular track to date, ‘Busy Earnin’’, has nearly 50 million streams on Spotify and, thanks to being featured in a number of TV shows and adverts (most recently for Toyota Yaris Hybrid), is one that everyone is at least subconsciously familiar with. Their arrival in Newcastle is, without doubt, one to get excited about. The group will provide the opening party for the Hit The North weekend with tickets setting you back £22. The venue, Boiler Shop, is famed for being the host of student favourite Bongo’s Bingo and is tucked away behind Central Station. Its rustic beams and open-ambiance is perfect for the party that Jungle will be bringing with them up North. Without doubt, there is no better way to kick of the Hit The North weekend’s buzz! Liverpool formed rockers, Circa Waves, came into the indie limelight in 2014 after the release of their debut album Young Chasers. 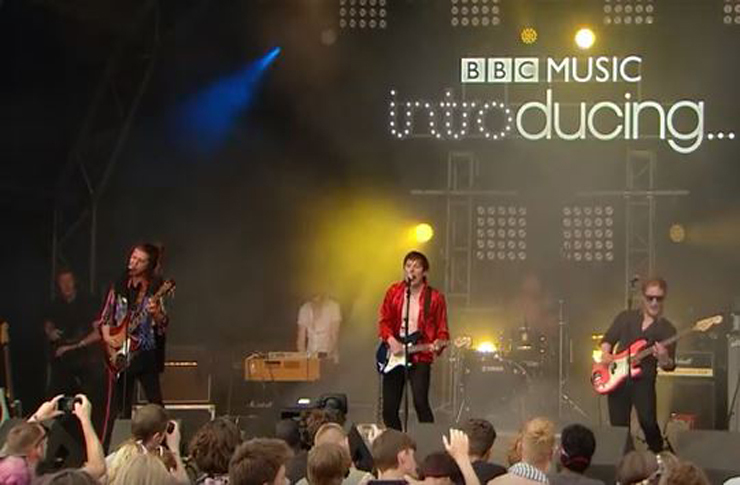 The four-piece met after working at Liverpool Sound City 2013 together and decided to join forces to make music. Shortly after their debut album was released they went on a small, discreet tour round the UK. They have been asked to play support for the likes of The 1975 on their UK wide tour as well as Courteeners in their hometown of Liverpool. The boys were an incredible opening act as, already having a name for themselves, they warmed the crowd up with ease. The band went from supporting huge artists such as these to headlining their own UK tour, selling out the O2 Academy Brixton and have not looked back since. They are a ‘windows down, sunny day, long car journey’ type band and its therefore easy to see why they have become so big over the past few years. It is highly recommended to get down there if you can! With the release of their new album Different Creatures in 2017 and the second single from this album, ‘Fire That Burns’, getting so much air time on radio stations such as Radio X and Radio 1, the boys are set to begin their second tour with this album. They are playing Universities, O2 Academies and all over the UK, including a date in Liverpool. 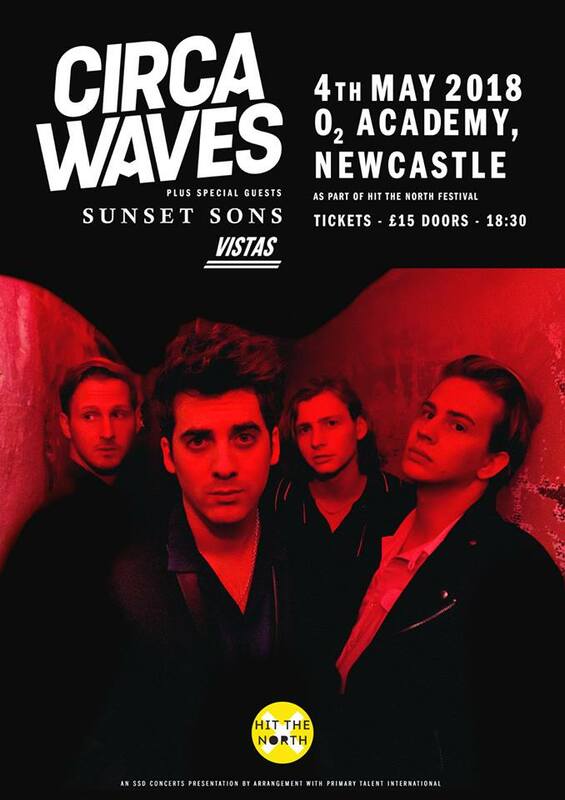 They are set to play Newcastle’s O2 Academy for Hit The North on May 4th, tickets are on sale now. It is highly recommended to get down there if you can! Music has a unique quality to frame memories. When I hear certain songs, I can be transported in an instant to a particular time and place at which I was listening to them. This is evident when I think of Derbyshire band Drenge, and their emphatic debut self-titled album, which still fills me with the same sense of excitement that it did in 2013, nearly 5 years ago. At the time, I was studying at sixth form and beginning to claim my independence as a young adult and this, along with a handful of others, formed the soundtrack to my coming-of-age. 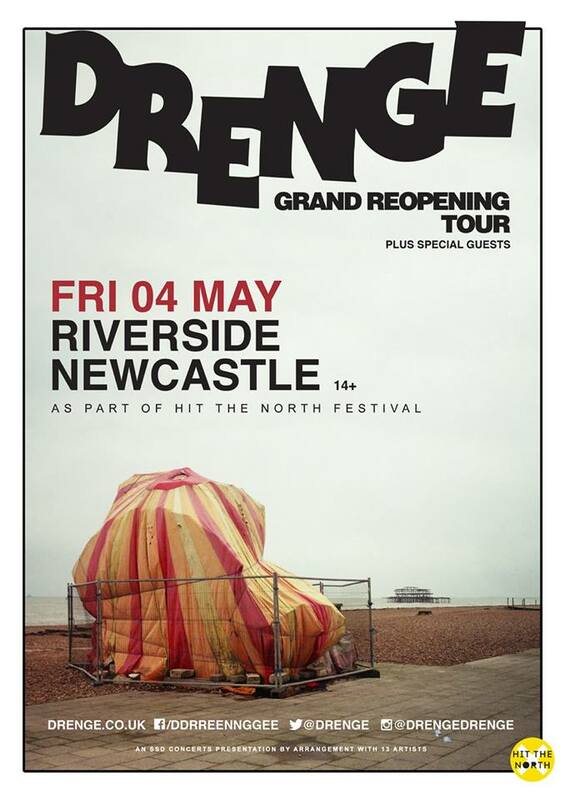 Drenge’s sound features an undeniable punk influence, however also possesses a more sophisticated quality, through their introspective lyrics, intelligent themes and an off-record sharpness and satire that can be seen in the members’ public relations. Songs from their debut LP such as ‘Backwaters’ and ‘Bloodsports’ are moments in which the band really bears their teeth, with bold riffs, sharp percussion and hard-hitting yet soulful vocals. 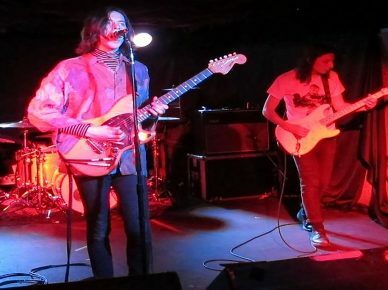 Drenge made an impact on not only me, but the British music scene with their debut, and their follow up album Undertow in 2015. Other singles such as ‘People In Love Make Me Feel Yuck’ display Drenge’s ability to encase their rampant sound with seemingly lazy lyrics, which can be seen to almost poke fun at the typical ‘heartbreak-chic’ image occupied by many names within the scene. Either way, Drenge made an impact on not only me, but the British music scene with their debut, and their follow up album Undertow in 2015. Now, after another seemingly routine 3-year break for the duo, Drenge are returning to the stage for their first live tour since their last album. If their previous exploits are anything to go by, then we are in for a treat, and hopefully this run of dates spells new music from the band. The Band will be performing at Riverside on the 4th may, tickets are available on their website and through most established ticket sellers. Q: What exactly is your role in all of this? A: Hmm, that’s a hard question. My official role at SSD Concerts is ‘PR Manager and Editor of Gigs North East’. But, realistically, my job sees me doing a whole lot more. Last year I ran interference on every problem you could imagine a festival may have on the day, managed the show staff and festival volunteers (plus a bunch of other really unglamourous and stressful jobs like hauling an amp up Aikenside Hill to replace an broken one …the music industry isn’t as picturesque as you may imagine). This year we have more staff thankfully so my role has changed slightly. I’m back to running the press side of things which includes PR releases and interviews. I’ve also taken on the role of booking our sister festival Meet the North, alongside my partner in stress Matty from our office. It seemed like a pretty natural jump for us to take over that festival as we’re both pretty heavily involved in the local music scene and like to think we keep our ears to the ground when it comes to new talent etc. This year on site you’ll find me carrying out interviews back stage and making some fun content to be shared by the festival – that’s a lot more my style than putting out fires! Q: What were some unexpected obstacles or challenges you ran into when organising Hit The North? A: Last year things were difficult in a way because we were brand new. It seemed for a while like the city wouldn’t respond well to the whole multi-venue thing and it took a while to really hammer home what the festival was. That and we had a venue pull out on the day of the festival! But we’re seasoned pros at dealing with chaos, that’s what we do. We make it happen on a shoe-string but you’d never know – that’s kind of the fun of it all. 2018 is much slicker because we know what we’re doing now. It’s bigger and better and the line-up is just ace… can’t wait to see everyones reaction to it. Q: Which acts get your personal recommendation? A: Well, since we’ve not released HTN’s line up (at time of writing), I’d have to say I’m majorly excited to see Jungle at our opening party. Also Mother Night, Shredd, FEHM and Girl Hog who are all playing Meet the North. Q: What does the future look like for Hit the North; in what ways can you see it progressing/expanding? A: As a company we never stand still. It’s always moving forward, getting bigger and reaching the next goal. I’d say Hit the North’s ultimate goal is to get to the size and quality of Live at Leeds or something similar and to be fair with this years line-up we’re not far off.